Square Enix has a variety of games and one of the more popular franchises is probably Final Fantasy. This series has been going strong for years now, with a throwback to the older games now and then. After all these years, it seems that Nintendo is also swooning as Final Fantasy IX has been released on the Nintendo Switch. With more Final Fantasy titles in the pipeline, let’s take a look at what this game has to offer on this handheld. You follow the Tantalus Theatre Troupe and to be more precise, Zidane Tribal. This young bloke is one of the members who travels around with this gang of … artists. They’re orchestrating a play in Alexandria for Queen Brahne and her lovely daughter Princess Garnet. Of course, the Tantalus group are con artists and their mission is to kidnap the heir of the throne. Little did they know that the princess herself wanted to escape. After some ‘friendly fire’ and other events, the royal guard Steiner gets aboard the flying theater ship too, together with the black mage Vivi. The battle did damage the ship though, which is the beginning of a big and unbelievable adventure. Being one of the Final Fantasy games, narrative is one of the stronger points of this game. You’ll be able to follow the main storyline and go astray now and then with some side quests. The Active Time Events give you the opportunity to watch extra content, mostly revolving around the other characters and what they’re doing at that certain time. These are mostly optional but add a lot to the story value and help you understand the plot better … or sometimes it’s just plain funny. 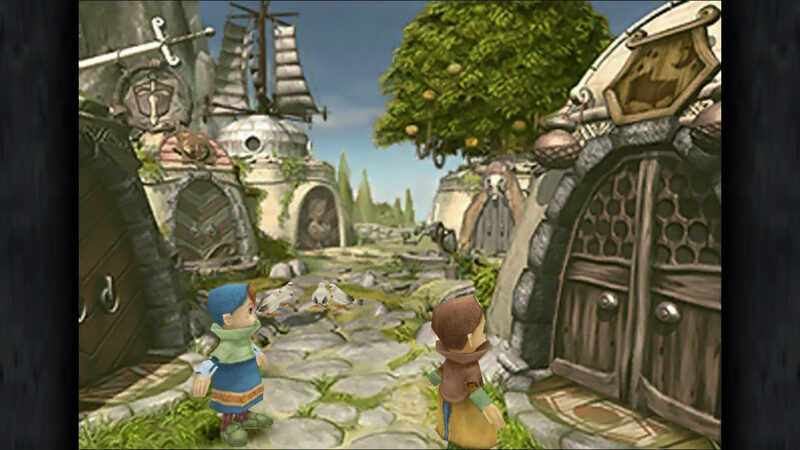 The original Final Fantasy IX originates from 2000 but already has some brushed-up graphics which can also be found in the Switch version. 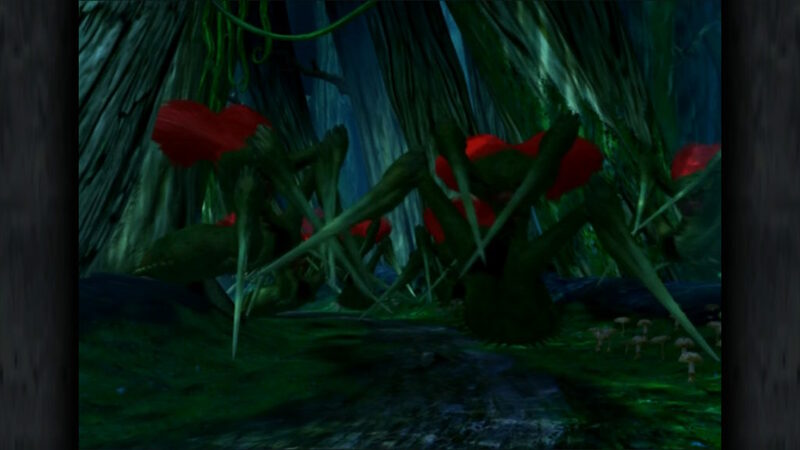 The cinematics remained untouched as they were already good and iconic for that time, but the character sprites have become more detailed and softer looking while standing out against the background. The difference between the environments is quite big as these look more like hand-drawn 2D images with 3D effects thanks to the layering. Monster encounters have received an overhaul too, meaning that there are more details on all the sprites and characters, making it a smoother and nice experience. One part that kind of contrasts is the world map. Here you can see the more outdated parts of the game but knowing that it’s a gem that’s almost 20 years old, it has its charm. Final Fantasy is known for a few things, one being for the soundtracks. Although Final Fantasy IX might feel a lot lighter and happier music wise compared to other games of the series, it certainly fits the game. Gamers who already dived into this title know what to expect and can enjoy some of the loved tracks. Nothing really changed on this behalf as the music was already spot-on back in the days. If you are expecting voice acting, you’re going to get a cold shower. The whole game is made of just music and some sound effects here and there. In an age where everything is guided by voices, this might seem a bit off but it’s actually fun to go back into the old days. It’s good to see that the developers decided to just brush up the graphics and add some extras and not tamper with the sound department. 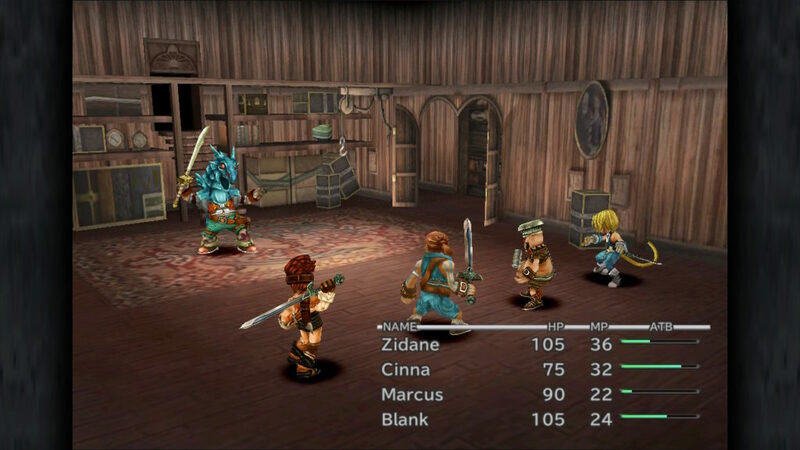 Of course, there are effects during battle for example when Zidane slashes his daggers or when magic is cast, which is enough to get and keep your attention in the game. 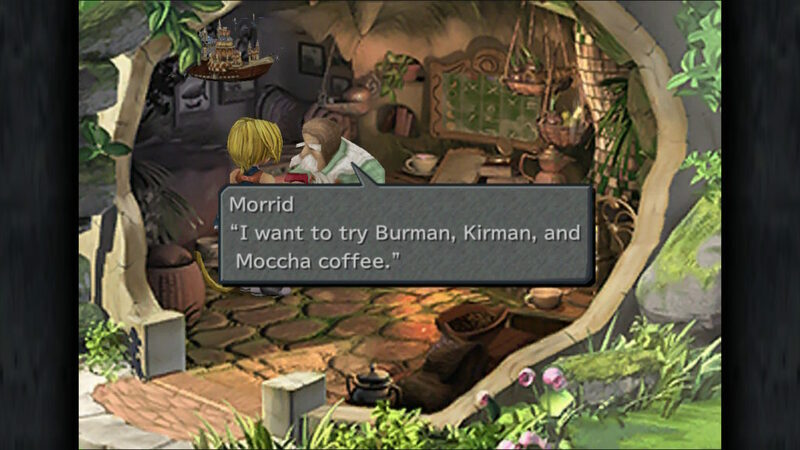 Final Fantasy IX is an RPG where you go in a quest to help a beautiful princess and unravel the secrets of the world while you’re at it. In comparison of some of the later games, this title is quite linear, pointing you in the right direction for the next part of the story. As it’s an RPG, you are able to level up by fighting monsters, together with learning abilities and new skills. Gaining experience is the way to go level wise, but learning the skills is done on a different way. You need to equip weapons and armor and if you’re in luck, it might contain some abilities that character can learn as the role-based system is back again. To learn new skills, you need to defeat monsters to gain points. Removing the item before the process is complete means you won’t have that particular skill. The abilities can be divided into two groups: action and support. The first consumes MP and are spells or attacks that can be actively used while the latter is to help out and has to be equipped with magic stones. You start out with a certain amount of stones but these increase with leveling up as well. 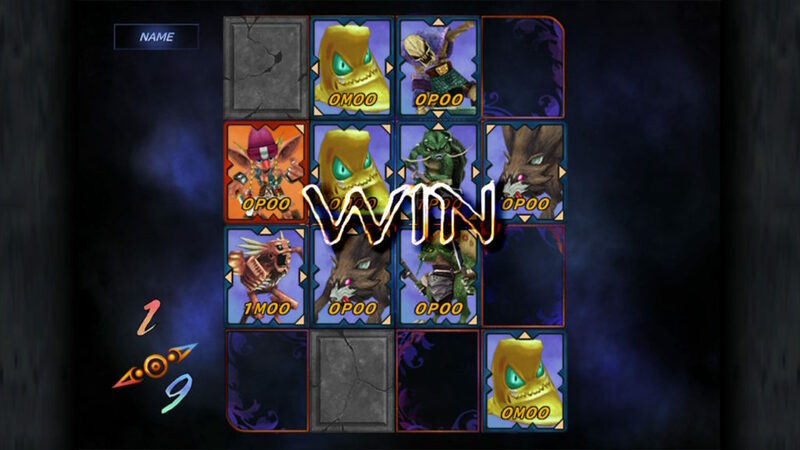 Battling takes place with an Active Time Battle system. This means that each party member in the fight gets an ATB gauge, which fills up over time. When complete, that member can perform an action going from attacking or using skills to defending or using an item. Of course, the enemy also attacks you in the meanwhile (also depending if you have wait or active configured for the battles). Getting hit is mostly not a good thing, but in this title, this will fill up a Trance bar. When completely filled, that member will go into an overdrive mode and gains more power and a different skill set. After a few actions, the gauge is depleted again and you get back to your original state. When you’re victorious you will gain experience and ability points, as already discussed, but also money and other items. One of the other aspects of the game is the synth shop. Here you can combine items and weapons or armor together with some money to get some new weaponry for you to use. This is certainly a way to get some new goodies for you to use so don’t throw out the old armor as it can get a second life. Of course, you can also throw your money to several shop owners for consumables or other items. Saving is done on the old-fashioned way: finding moogles and save on several slots. These fluffy animals can also help you rest up and there is also something like ‘Mognet’, where you take letters from one moogle to another. It’s certainly a good idea to save and heal up whenever you have the chance as it mostly means that danger is ahead. You have enough of running around and fighting of monsters? You can always dive into a game of Tetra Master, where your card skills are important. Some people are open for a game, where you put five cards against each other and try to beat the stats of your opponent. You win the game when there is more of your color on the field. When you’re further in the game, you can also go on chocobo hunts or dive into some of the side-quests. With these updated versions of the original game, there were also some extra perks added. Not in the mood of fighting monsters? Want to have full level? All the money you can have? Well, it’s just a button away to have it all, but some of these changes are permanent though, so keep it in mind. 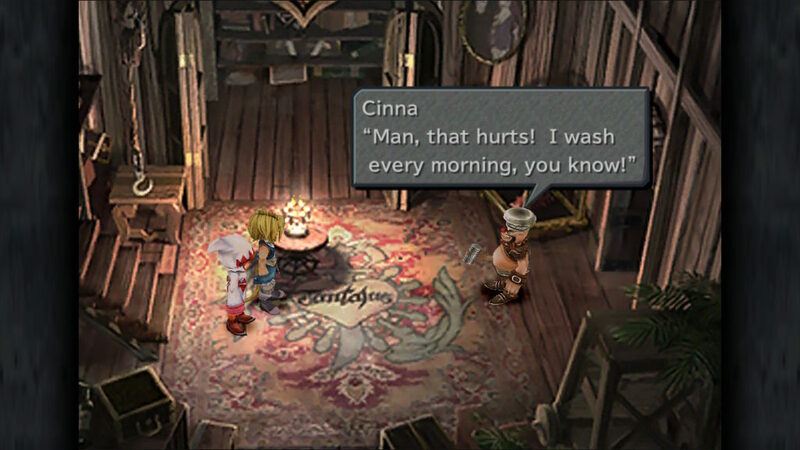 Final Fantasy IX on the Nintendo Switch will make it possible to dive back into the good ol’ days, even when you’re on the go. The graphics have had an update while they’re guided by the awesome music. Gameplay wise, you’ll be thrown back to the times of the filling ATB gauge and waiting until it’s your turn to make a move. If you like linear games with a solid storyline, be sure to check out this title.